I designed , built, tested and operated a 2m hamradio transceiver that includes all the necessary circuitry, in particular the voltage-controlled oscillator (VCO) + phase-locked loop (PLL) for frequency synthesis, low noise amplifier (LNA) for the receiver front-end, power amplifer (PA) for the radio frequency (RF) output stage and PIC based micro-controller (PIC) with serial interface to computer desktop. 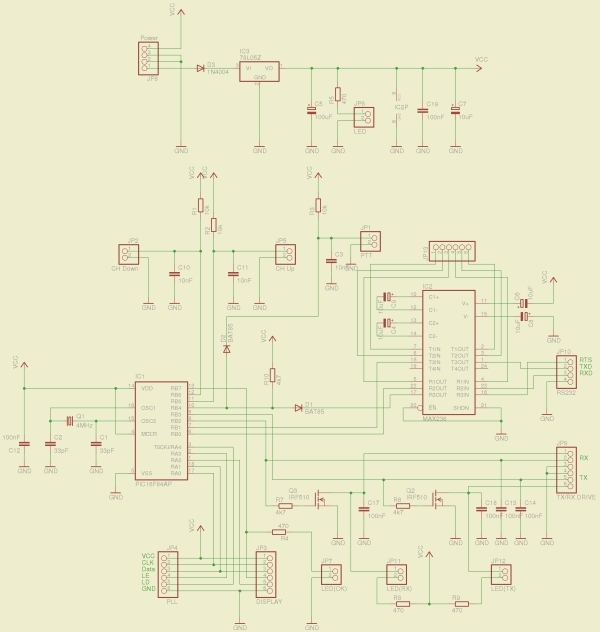 All the schematics , pcb and calculations for this project can be found within the subdirectories of my public git repo dedicated to RF circuits, in particular mrf262 and mc3361. The VCO+PLL has two versions, the first one uses a negative voltage pump generator to supply power to the operational amplifiers responsible for biasing the tuning varicap diode and mixing in the digital/audio modulation and also uses a mosfet as the output driver. 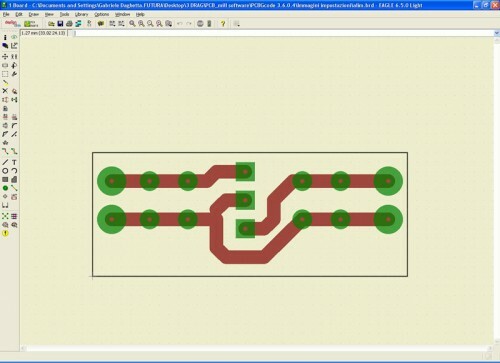 The second version includes a Wilkinson power splitter to provide 2 identical power outputs, one for the transmitter board and the other for the receiver board and removes the need for the negative voltage supply. They both use the LMX2305 digital PLL I.C., which needs a stable reference frequency, provided by a crystal resonator and the internal division stages can be controlled through a 3 wire interface directly from a micro-controller or desktop computer. THE PLL I.C. doesn’t include an internal VCO, so a Clapp oscillator had to be designed around a BFQ19 transistor , a small adjustable coil and a BBY40 varicap tuning diode. This circuit block also includes a voltage regulator and a fair amount of decoupling capacitors to obtain a clean output signal. The PA is a 3-stage bipolar transistor circuit and output harmonic filtering bank, where the inter-stage matching circuits include coils and tuning capacitors, which need to be adjusted for maximum efficiency and power gain. The 50Ω input of this block is connected to the VCO+PLL frequency synthesis block described above and the 50Ω output to the antenna. The micro-controller circuit block contains a P16F84A running at 4MHz, with firmware programmed in the assembly language. The firmware is responsible for programming the PLL+VCO circuit block with the transmission frequency when the PTT signal is activated and the RX frequency when receiving since the RX frequency is shifted by the receiver first stage intermediate frequency (I.F. ), in this case 10.7MHz.